Born in Kabul, Afghanistan in 1973, and resides there now. Abdul lived in Germany and India as a refugee after she was forced to leave Afghanistan after the former-Soviet invasion. Her work fuses the tropes of Western formalism with the numerous aesthetic traditions–Islamic, Buddhist, Hindu, pagan and nomadic–that collectively influenced Afghan art and culture. She has produced work in many media including video, film, photography, installation and live performance. Her most recent work has been featured at the Venice Biennale 2005, Istanbul Modern, Kunsthalle Vienna, Museum of Modern Art Arnhem, Netherlands and Miami Central. 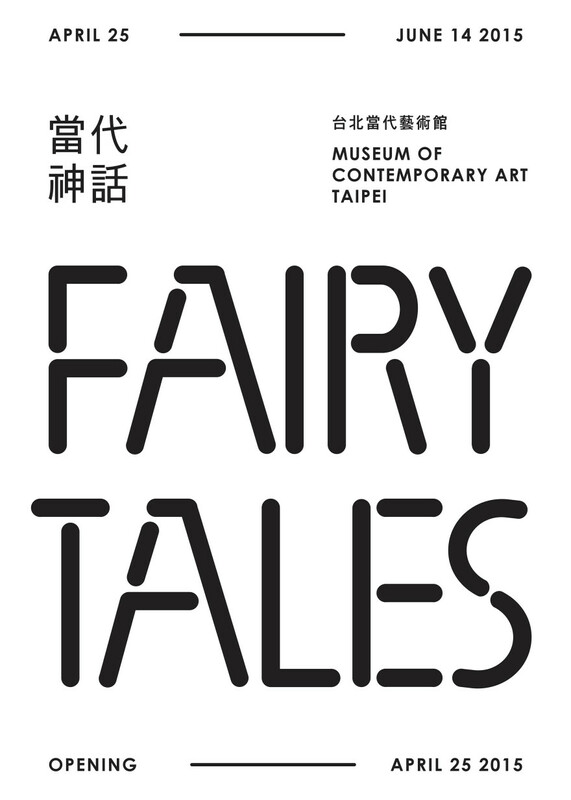 She has also exhibited in festivals in Mexico, Spain, Germany, Uzbekistan, Kyrgyzstan and Afghanistan; she was also a featured artist at the Central Asian Biennial 2004. For the past few years, Abdul has been working in different parts of Afghanistan on projects exploring the relationship between architecture and identity. 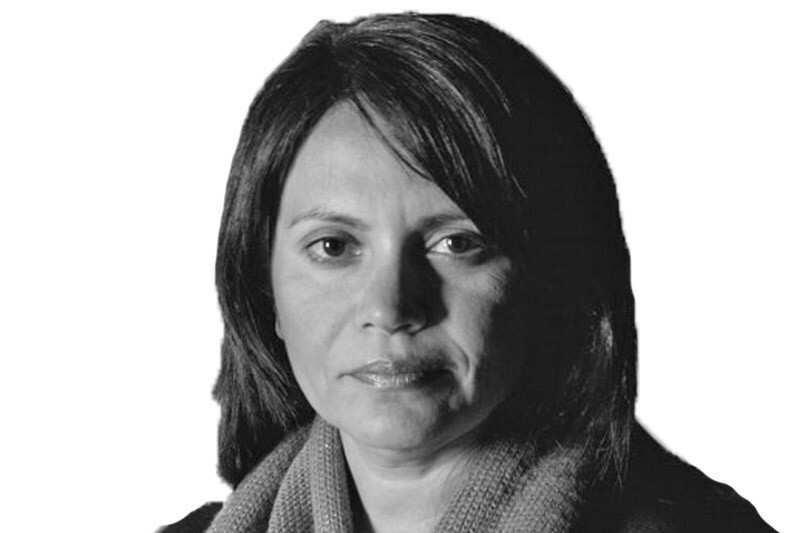 For Lida Abdul, the most difficult thing is to move beyond the memory of an event. Ruins carry the memory of something lost and act as a reminder of what used to be. In this video, a group of children are lining up to sell bricks taken from a ruin site to a construction worker. While she transforms specific ruins into a general statement on war, she insists that her work not to be reduced to the merely political. 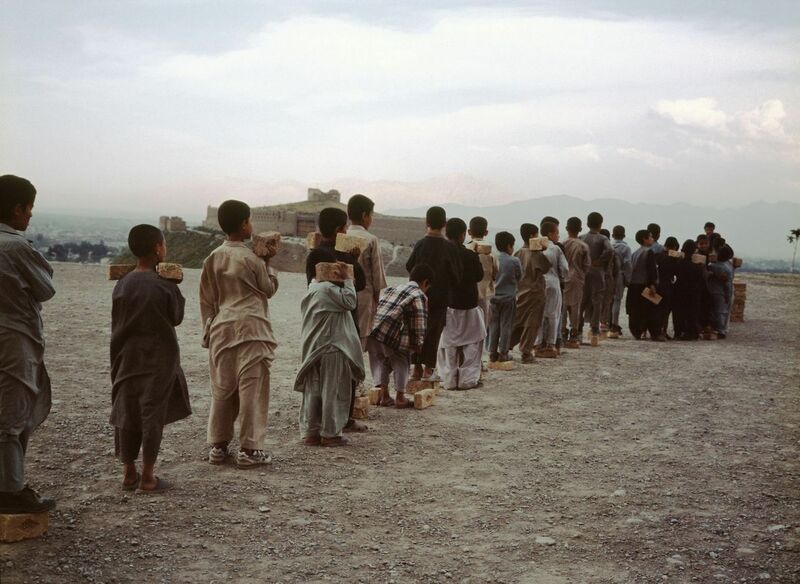 The video is a metaphor of the radical physical and social changes taking place in Afghanistan at the moment. The young kids represent hopes to rebuild the country and forget about traumas that have struck Afghanistan. 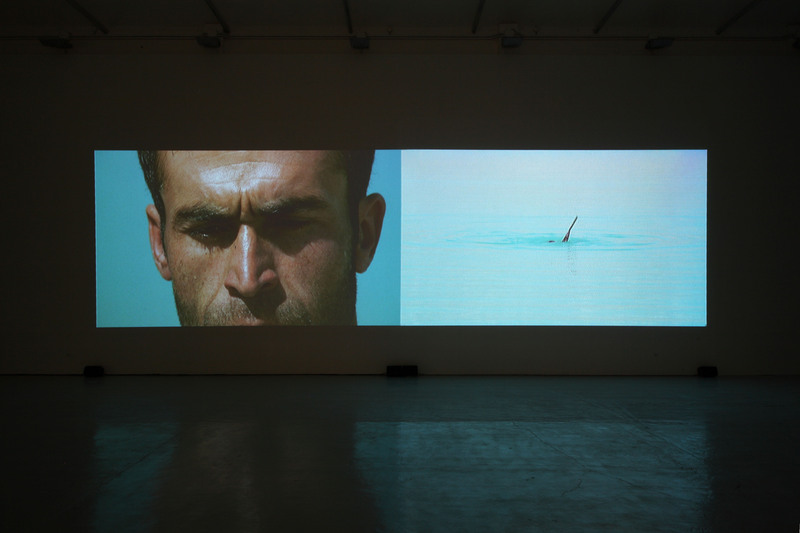 Abdul’s video work In Transit features school children filling a military airplane with cotton, attaching ropes, and attempting to fly the airplane like a kite. In Abdul’s words: It’s really a playful piece, a fantasy piece, with a group of kids who are playing with a very old Russian plane, that was left over years ago. I was really struck by this piece because it looks between a plane and a bird. It’s like a skeleton almost… The harsh reality of the destruction of war is counterpointed by the hope in the future represented by the children – the most innocent creatures. I want to bring out the beauty of the tragic way in which children face violent scenarios and show how they can be flexible in similar conditions with their innocence, by creating an antidote to the tragedy of their condition. Without children playing and running through the streets of Kabul, Afghanistan today would be even more violent than it is. 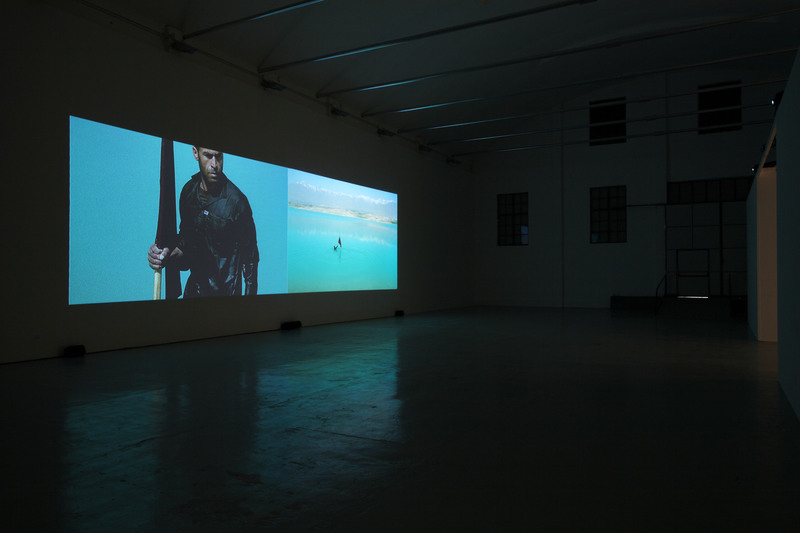 Lida Abdul’s two-channel work entitled What we have overlooked (2011) was first presented at dOCUMENTA (13), Kassel. She is an Afghan video and performance artist born in 1973 in Kabul. Forced to flee Afghanistan following the Russian invasion and the war that followed, Abdul lived as a refugee in Germany and India before settling in the US. 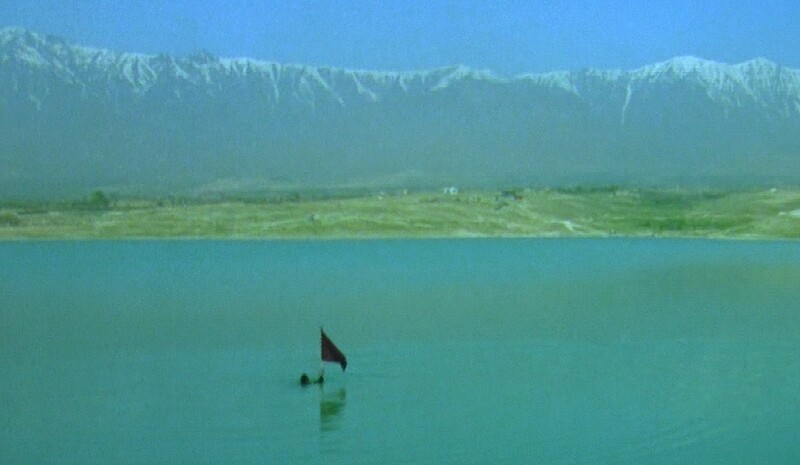 The video, filmed by a bright blue lake near Kabul, shows a man slipping underwater holding a black flag. She alternates between close-up and distant views, following the actions of the man to whom the subtitles give a voice until he finally vanishes under the surface. It is at the same time elegant, ethereal, beautiful, and strongly defiant. Lida Abdul examines the relationship between individual and nation, represented by the flag, its abstract symbol. Yes, there’s politics involved, because I work in a place that’s been so political for the past 25 years, she says. 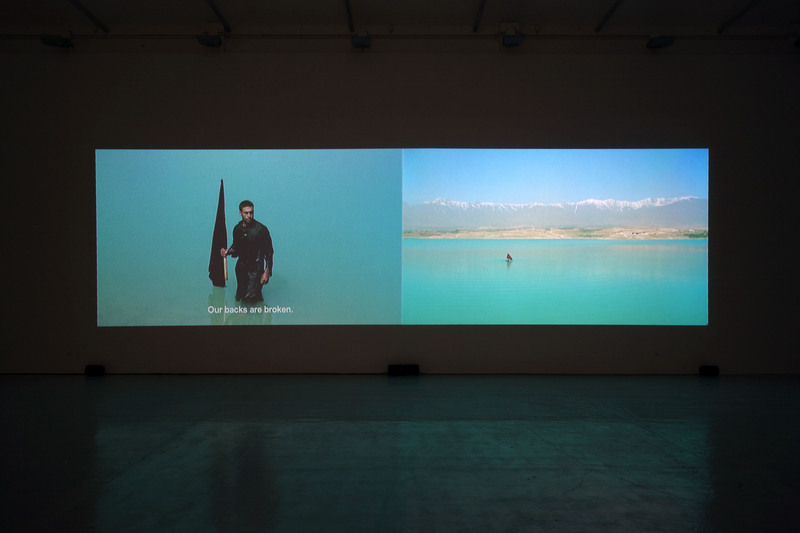 Yes, it is about Afghanistan; yes, [my work] deals with politics, but it also deals with form. I’m really interested in beautiful images. I would like to seduce the audience with images. All images by Lida Abdul/lidaabdul.com unless otherwise noted. One Response to "Lida Abdul"